Creating an environment where parents, families and community members join together in strong partnership is the mission of the Allen-Field Parent Center. 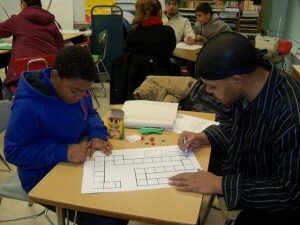 The vision is to increase parent participation in all aspects of the Allen-Field school community. Parenting classes and workshops on a variety of topics are available to members of the community. Day and night courses for parents include Love and Logic parenting classes as well as GED, English As A Second Language (ESL), Computer/Technology, citizenship and Arts & Crafts classes. These educational and enrichment opportunities encourage parents and families to join their children in setting and reaching new educational goals. The Allen-Field Parent Center also plans a full schedule of activities for parents and families throughout the school year. The activities allow Allen-Field to showcase the school and celebrate individual student talents, skills and accomplishments. Family support and strong attendance are important components to successful events at the school. These free evening events, scheduled monthly, connect the family with the school curriculum in a way that is both meaningful and entertaining. 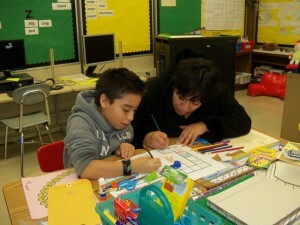 The Allen-Field Parent Center hosts Parent Night Workshops from 6:00 p.m. to 8:00 p.m. throughout the school year. Parents receive valuable information on specific topics such as literacy, reading, math, the Gifted & Talented program, Special Education and summer activities. We regularly invite community organizations to share their information and resources with the parents. Current class, activity and workshop schedules are listed below. There is also a list of helpful Web sites for parents. There is an Allen-Field monthly newsletter in English and Spanish for families. For more information about any of these classes, activities and workshops, or how to get involved, please call (414) 902-9200. This Internet Safety guide helps parents make decisions about how to keep their children safe on the Internet. This site is dedicated to helping parents and communities play an active role in their children’s education and informs visitors about educational legislation that impacts families. This site will give parents a guide to building self-esteem while also teaching communication about resisting drug use and being a role model. Allen-Field benefits three times a year from R.I.F., a bilingual site with additional information and support.